Oregon's broad agricultural and natural resource based economy is accompanied by a high level of environmental sensitivity. The use of pesticides in managing forests, in crop production, in households and other urban environments demands that a thorough understanding of their behavior and hazards be conveyed to workers, managers, public officials, and the community at large. In addition, knowledge of environmental behavior and the potential impacts of pesticide use on human health and the environment, as well as product efficacy, needs to be applied to the development of more ecologically-based integrated pest management strategies. The continued use of chemicals in agricultural, forestry, and urban environments will depend heavily on the demonstrated ability to manage their use in a manner that meet increasingly stringent standards designed to protect human health and the environment. The Agricultural Chemistry Extension Program provides expertise in chemistry and environmental behavior of pesticides and other xenobiotics, and knowledge of pesticide technology, pest control practices, exposure assessment, and environmental toxicology, as well as the teaching and outreach skills necessary to bring these subjects understandably to Extension agents, other specialists, and to all segments of the community. 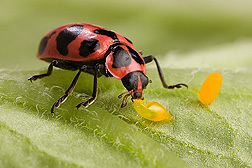 The Food Safety and Environmental Stewardship Laboratory at Oregon State University provides the chemical and toxicological information from pesticide residue studies to support registration of minor-use pesticides. The FSES Laboratory will address in a timely manner the full breadth and depth of minor crop registrations needed to sustain Oregon's widely varied agricultural production. The Food Safety and Environmental Stewardship Program at Oregon State University is a research program committed to providing the highest quality analytical laboratory research support for: food quality assurance, environmental integrity preservation, enhancement of agricultural production, and recognition and dissemination of new knowledge. Agricultural groups, government agencies, producers and consumers do not want just data, they want information. The FSES program does not just generate data; the program generates information. The FSES program investigates and helps solve problems (or offers support for workable solutions). The FSES program provides a higher level of sophistication. The ability to perform a more sophisticated analysis results in more sophisticated information. The FSES program aims to achieve a higher level of information, specifically, what the bioavailability (environmental fate/persistence) chemistry is and not merely what residue/environmental analyte is present, so that the data now gathered has a higher information content. It is becoming ever increasingly clear that programs that promote the preservation of ecosystem integrity and sustainable use of natural resources must be formulated from our scientific knowledge of the environment. Before any protection and sustainable programs can be launched meaningful data and information must be gathered. Missing information creates uncertainty. The Food Safety and Environmental Stewardship (FSES) program will contribute to the investigations into ecosystem characteristics and human perturbations, as well mechanisms that control agrochemical fate and transport. The National Pesticide Information Center (NPIC) is a cooperative effort of OSU and the U.S. Environmental Protection Agency. It is a toll-free telephone service that provides pesticide information to any caller in the United States, Puerto Rico, or the Virgin Islands. NPIC provides objective, science-based information about a wide variety of pesticide-related subjects, including: pesticide products recognition and management of pesticide poisoning toxicology environmental chemistry. NPIC is staffed by highly qualified and trained pesticide specialists who have the toxicology and environmental chemistry education and training needed to provide knowledgeable answers to pesticide questions.